On this week’s episode of Shadowhunters we finally meet the warlock that created the powerful potion responsible for Jocelyn’s current sleep-induced state. 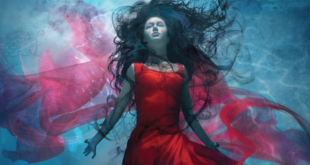 Amidst playing wedding planner for the upcoming Lightwood-Branwell nuptials, Izzy (Emeraude Toubia) narrows the search down to twenty powerful warlocks capable of performing the kind of magic on Clary’s (Katherine McNamara) mom. Hodge (Jon Cor) narrows it done further to three candidates, one of which is Ragnor Fell (Adam Kenneth Wilson) with the other two being Tessa Gray and Catarina Loss (we get a pic of them both!). Magnus (who is invited to the Institute by Jace) explains that the other man was the former High Warlock of London and one of his dearest friends. 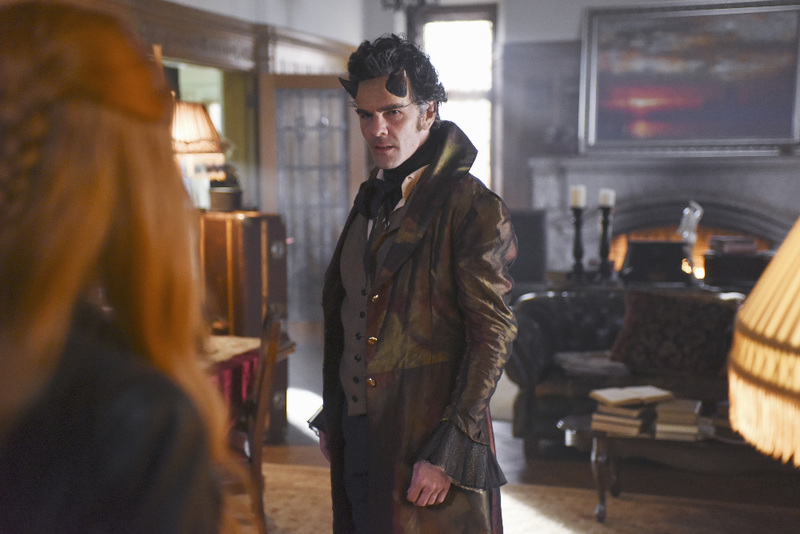 He also adds that Ragnor had been an instructor at the Shadowhunter Academy in Idris during the 90s when Jocelyn (Maxim Roy) still lived there. Magnus (Harry Shum Jr.) realizes that his friend must have been the one who made the potion because the man hasn’t been responding to any of his fire messages since Valentine began hunting warlocks and likely has been holed up in his secret country house just outside of London. Magnus insists that he has to accompany Clary and Jace (Dominic Sherwood) since he’s the only one Ragnor trusts. The three portal to England where the reclusive warlock has put up a strong ward around his house in the form of a wall of green fire. Apparently only those with a pure heart and intent can cross through. Jace and Magnus vanish in the flames and Clary is left to enter the Ragnor’s house alone. The home kind of reminded me of a fancy hoarder’s place. Clary notices that a painting of the horned warlock seemed off and pulls him out of the 2D world into reality. Ragnor admits that has been expecting her and that she has her mother’s talent. During their exchange the man keeps talking to an empty room, which has us wondering if he’s a little crazy. Clary asks if he made the potion for Jocelyn to which he answers yes at her mother’s request. Ragnor asks her what the antidote and her friends are worth and she answers that she’ll do anything for them. Unfortunately though, he needs the Book of The White (an ancient book of warlock spells) to create a cure for the sleeping potion. He had actually asked Jocelyn to hide the book so that Valentine (Alan Van Sprang) would never find it. Make that another super powerful item that she had to hide from her ex-husband! Ragnor goes to find something that might help them when he gets attacked by a shax demon and soon dies after. The demon must have followed them through the wards but the better question is how did it know to go there in the first place. Magnus creates a portal for Clary and Jace to head back to the Institute while he’ll take Ragnor and the contents inside of the man’s house to his place in New York to figure out the clue. 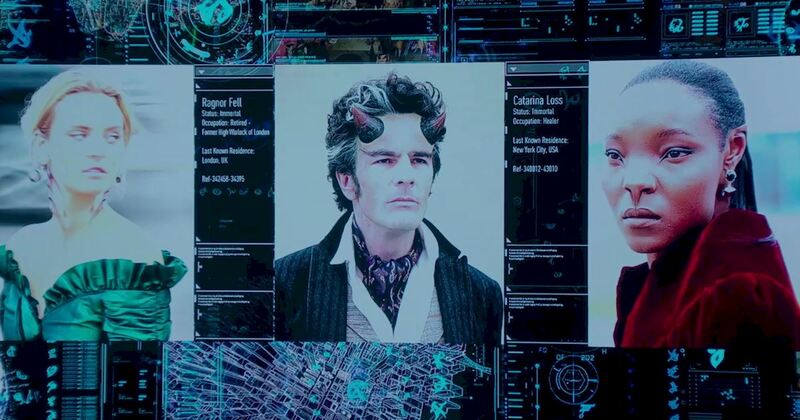 Shadowhunters speeds up the former High Warlock of London’s appearance in the narrative. 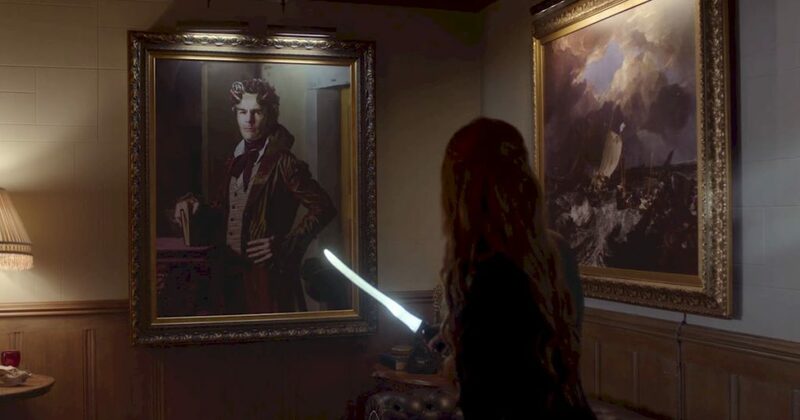 In the book series, Clary comes to his home in Idris in City of Glass (book 3) where he had already been killed and Magnus was there in his place. Ragnor in the novels was also green skinned with white hair, looking to be around his thirties (though he was even older than Magnus). Sometime in 1872, Charlotte Branwell had also once employed him when she was head of the London Institute to monitor the Herondale family (upon the request of Will Herondale who ran away from home to the Institute believing he was cursed by a demon). He had discovered that they had lost their home in Wales due to Edmund Herondale’s gambling problem. At some point he lost track of the family but then Charlotte called upon his services again six years later when it was found that they were now living at Ravenscar Manor in York. The property was owned by Mortmain, the main villain in Cassandra Clare’s The Infernal Devices (prequel to The Mortal Instruments series). Back on Shadowhunters we discover at the very end of the episode that it had been Hodge Starkweather who betrayed Clary, Jace and Magnus and revealed their mission to Valentine. Say it ain’t so Hot Hodge! 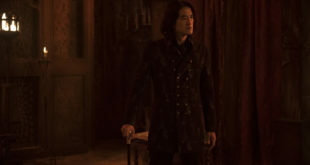 He thinks Valentine can remove his curse of being bound to remain inside the Institute by delivering Jocelyn and The Mortal Cup (which he stole from Lydia). 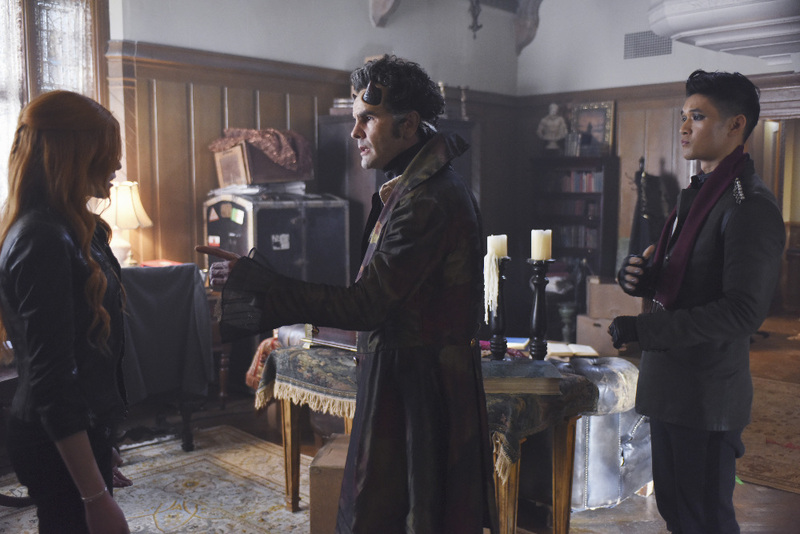 Ragnor was truly gone too soon but hopefully we’ll see more of him in flashbacks. I would love to have more scenes of the two warlocks together (plus Tessa and Catarina too). With only one episode left before the first season is over, Shadowhunters has been a fun adaptation of a beloved book series. The changes made have definitely been intriguing and I can’t wait to see where they take the story next. With the show renewed, maybe we’ll even get to meet Sebastian Verlac in season 2! You can catch Shadowhunters Tuesdays on Freeform at 9/8 central.